Use the application to call out to mobiles and landlines around the world at the most affordable rates. Please note that your phone contacts are not automatically transferred to messenger which preserves your anonymity. Only you decide who to add to your SafeUM contact list. Such features as file transfer, history disabling and the number of messages displayed on the chat screen are available in encrypted group chats. The moderator is the one, who creates a group and he is the only one, who can modify Settings and set up the security policy of the group chat. Messages and files are delivered to online and offline contacts. If one of the participants of the encrypted group chat changes the encryption keys, other participants will get the notification about it. Rest assured in total confidentiality of your messaging and conversations. We use modern cryptographic/data encryption algorithms never implemented in any other public product before. You generate secret encryption keys for confidential communication. They are only stored in the device RAM and are deleted during shutdown/reset. The ElGamal Elliptic Curve Cryptosystem eliminates the possibility of your data to be decrypted. Security keys verification by QR code scanning allows you to check the authenticity of the interlocutor and his keys. This additional security measure excludes MITM-attack. Scan QR code to verify the key. The service is available in offline mode. Disable chat history saving feature if you fear that your confidential information can be disclosed to third parties or used against you. Chat history saving is disabled simultaneously on both sides. The chat history saving icon in your dialog box will show ON/OFF. Sign up without a SIM card using only login and password. Security still remains at high level thanks to additional authorization parameters. Call directly with no “man-in-the-middle”. The P2P (Person to Person) technology sends your voice and video directly to your conversation partner bypassing our servers(which only connect you to another person's gadget). Hence, your chat history is not saved anywhere in any way. Access to application is protected by a reliable and elaborate system of PIN codes which consist of 4 to 10 characters. The first PIN provides full access to the application and all its features. The second PIN hides secret conversations and confidential data. The third PIN deactivates the account without any possible recovery. This feature is designed for emergency situations and allows you to make sure that no third parties get access to your personal information. Sign up without mobile phone number using only login and password. This will keep your location secret. With modern codecs, sound in SafeUM is transmitted in the best quality even at the minimum bandwidth of the communication channel. HD quality calls provide a "presence effect", you will hear your interlocutor as if he/she is close to you. Make video calls between the application users with the help of modern technologies. WebRTC provides fast video streaming whereas VP8 codec allows to achieve perfect image quality. You will definitely appreciate the quality of your communication. Use up to three accounts on one device with calls and messages coming simultaneously to all three of them. Accounts are not interconnected and can be used on different devices without restrictions and limits. Switch by a single click. Your conversations, secret keys, call history, messages and transferred files are not saved on your data storage devices. Device loss, theft or seizure will not expose confidential information. The encrypted data is stored on our secure servers. Use additional protection of your account – secret SMS code when signing in with phone number. A one-time access code is generated automatically and sent to your mobile phone. In case of unauthorized access attempt to your account from unregistered devices you will receive security threats notifications via application indicating the IP address and model of the device used for unauthorized access. This feature provides a high level of your account security. 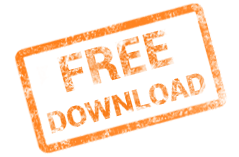 SafeUM is not an advertising platform for third-party companies’ products and services. We do not make money by selling users' personal data to marketing specialists, vendors and other interested individuals. SafeUM is a commercial project and makes money selling premium services (subscriptions) within the application itself. We provide an unprecedented security level and are convinced that such service can not be free. Please keep in mind that there are no free services and if you do not pay for using them then someone else is paying to access your personal information. 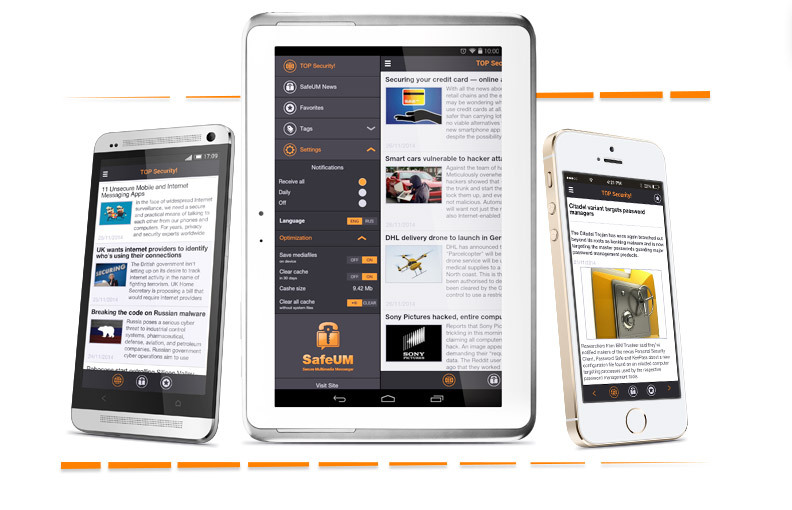 With SafeUM you are fully protected from information leakage. Your security is the basis of everything we do. In free version, all information is encrypted using WSS (Secure WebSocket). This means that the information can only be encrypted and decrypted by you and your conversation partner. Neither Internet Service Provider nor public Wi-Fi access point owner will be able to access your information. Professional support team will 24/7 assist you in case of problem or difficulties when using the messenger. Transfer money from your account to your contact list users. They can use it to pay for any service applications. Communicate with several conversation partners simultaneously. Video and audio calls are available to all application users regardless of their tariff plans. This feature allows you to stay connected anywhere in the world, always in touch with family or business. You can be absolutely sure of your communication security and of all transmitted data's integrity. Use additional security feature - Super password - when signing in with username and password. In case of unauthorized access attempt to your account the system will require to enter several letters of Super password that only you know. This extra security measure has proven itself in banking practice. Leakage of private information and total surveillance are the most discussed topics in the world nowadays. Every day we hear new reports of hacks, blackmailing, transmission of personal data to third parties or the general public. The problem of personal data protection is also quite acute because we no longer see our life without smartphones, laptops, mobile applications and online communication. 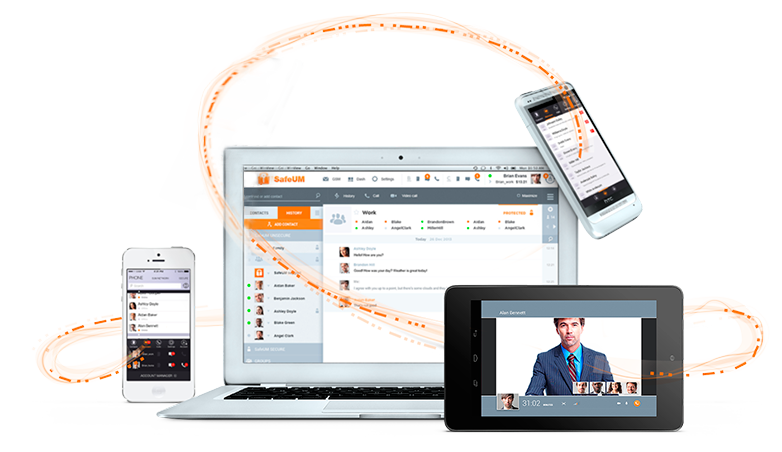 New secure messenger SafeUM provides an unprecedented level of personal data protection. Our mission is to create the most secure communication environment. You still do not believe it is possible? You still believe that anyone can access your personal information? We would like to reassure you. Information processing is based on limited access and the "system of mutual distrust" - where the provider and the user do not trust each other and exchange(in Premium package) only encrypted information. We do not have the keys to decrypt your information. All the keys are encrypted and only saved in RAM until the device shutdown/reset. Any activity within the system is transparent and eliminates the human factor. The system logic is built in such a way that we can not read your information since it is encrypted(in Premium package). Only general information is available: session time and IP address. Technical support team does not have rights to access users' personal information. During the conversation, your every message (in Premium package) is encrypted with unique keys. Our Front-end servers have no hard drives. All information is stored in the servers' RAM. Our Front-end servers are protected against seizure. After shutdown / reset the information is erased. All your data is encrypted(Premium package) and stored in a secured Data Centre (DC). Access to an application is protected by a reliable system of three PIN-codes. Smart messenger SafeUM protects your account by IP address, device type, operating system and warns about any unauthorized access to your account. All devices and IP-addresses are controlled within your account. According to the law of Iceland "Electronic Communications Act", any information is provided only after the written order of the court of Iceland. According to the law of Iceland "On security of personal data" information cannot be stored for longer than six months. Legislation does not allow to save chat history if the "Disable chat history" feature is selected by SafeUM user. TOP Security! is an internet security news journal. Our newsfeed is for you to stay tuned on the latest it security news, computer protection, network security, internet protection, best mobile security, forecasts and key trends. Install the free application for Android or iOS and read top information news about security on your mobile.